Parisian women in Versailles. French Revolution History. Home » Parisian women in Versailles. French Revolution History. 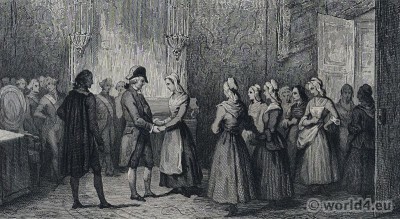 Louis XVI receives parisian women in Versailles. Women’s March at 5th October 1789. 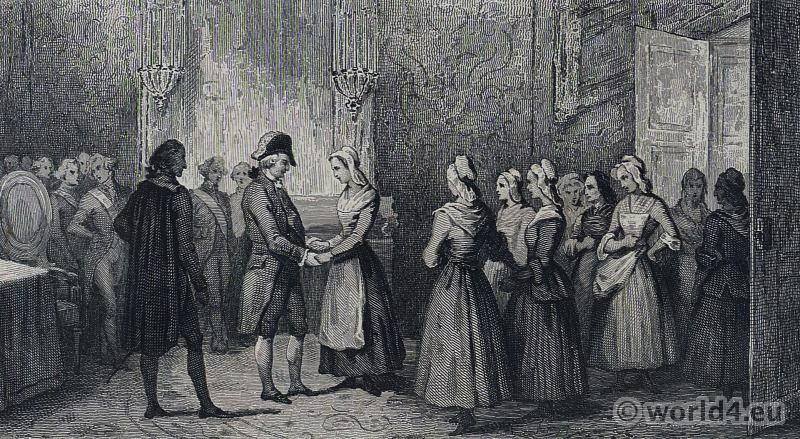 Execution of the King Louis XVI . This entry was posted in 1789, 18th Century, France, French fashion history and tagged French Revolution Costume on 9/22/14 by world4.